Northern Serbia’s autonomous province of Vojvodina is a veritable melting pot of over 25 ethnic groups; a mix unheard of in the rest of Serbia. 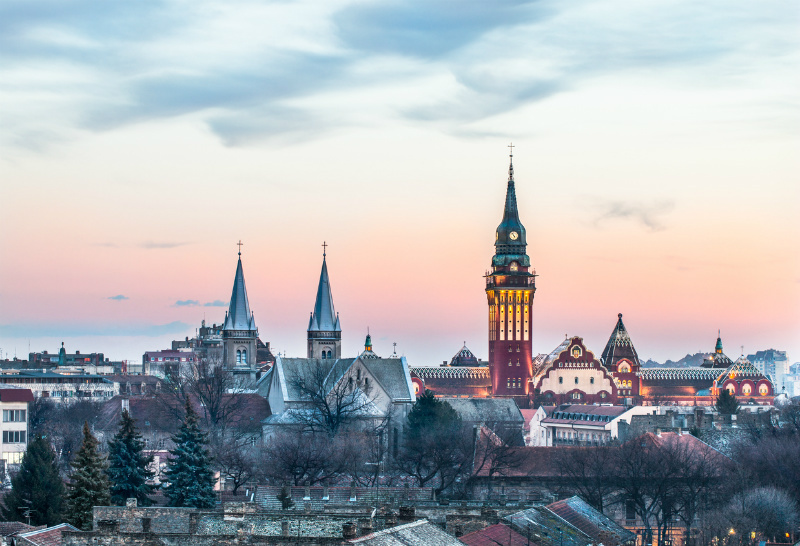 The region boasts six languages (Serbian, Hungarian, Slovak, Croatian, Pannonian Rusyn and Romanian) and blends the best of Serbian and Hungarian traditions. Most of Vojvodina consists of open countryside across vast plains dotted with monasteries, castles and small towns. 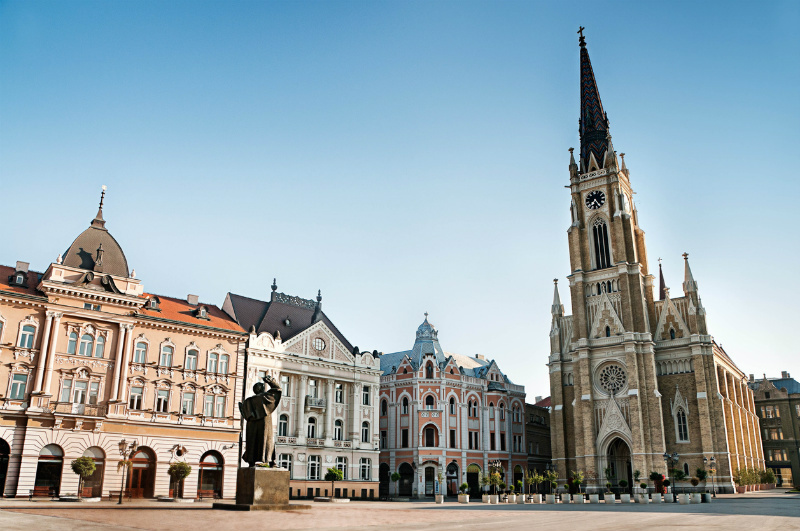 However, the province’s capital of Novi Sad is a brilliant city that blends Serbian traditions with modern day lifestyle. It’s well worth a visit for its museums, art galleries and impressive historical architecture. A long-standing cultural institution in Serbia, this national treasure is more than a mere gallery. With three floors of permanent exhibitions showcasing priceless Serbian art from the 18th-century onwards and some interesting temporary exhibitions, this vast museum could easily take the best part of a day to explore. Dubbed the ‘Gibraltar on the Danube’, this mighty volcanic citadel was constructed between 1692 and 1780. Its dungeons have held notable prisoners including Karađorđe (who lead the first uprising against the Turks and founded a royal dynasty) and Yugoslav revolutionary, Tito. The museum inside the citadel’s walls offers a good insight into the area’s history and you can take a tour of its seemingly endless dark underground tunnels, once used for military purposes but rumoured to contain mysterious treasure troves, reptiles and ghosts. Novi Sad’s trendy creative district extends over a ramshackle jumble of cobbled alleys, workshops, alternative clubs and cafés sitting behind mounds of sprawling vegetation. The makeshift cultural centre is an interesting place for an afternoon amble. The Chinese Quarter played a large part in earning Novi Sad the honour of being the 2021 European Capital of Culture. Technically a peninsula, this small, pleasant spot is great for a riverside picnic or lazy stroll along the Danube. New restaurants, hotels and river-barge nightclubs (splavovi) are springing up in the area all the time but for now it remains a rather low-key city getaway for those in the know. Cross over to the “island” from the western end of the Štrand when the tide is low or get a taxi from the city centre. A beach on the Danube, this 700 metre-long stretch turns into a city of its own during the summer months with bars, stalls and tourist facilities attracting thousands of sun and fun-seekers. It’s also the ultimate party venue, hosting anything from local punk music gigs to all-night parties. Kids are also in their element with the playgrounds, trampolines, ice cream and fast-food stalls. This small museum just outside Sremski Karlovci of course covers the arts of beekeeping and wine making. While you’re there, you will have to try (and buy) the local wine, bermet and the delicious sesame and meadow honeys. Subotica’s Town Hall was built in 1910 and is a curious mix of art nouveau and something Gaudí may well have liked. The council chambers with their exquisite stained-glass windows and elaborate decor are unmissable, as is the building’s soaring tower open at noon from Tuesday to Friday. The Modern Art Gallery is a sumptuous converted mansion, also known as the Raichle Palace, built in 1904 as an architect’s design studio. You will be treated to a vivid flourish of mosaics, tiles and stained glass. Various temporary exhibitions are laid on here but the mansion itself is reason enough to visit. This magnificent reserve is billed as the ‘European Sahara’. 300 square kilometres make up the continent’s largest sandy landscape, home to a huge array of rare plants and animals, including a particularly large population of wolves. You can make the most of several viewing paths while the cross-country EuroVelo 6 bike track also runs through the reserve.